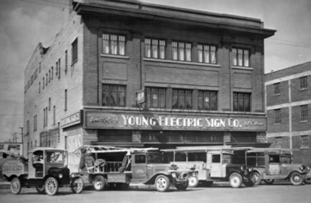 As third generation with the company, Paul and Jeff Young presented the beginnings of the company in Ogden Utah in 1920 as a single location by their grandfather Thomas Young Sr. and the growth through the years. 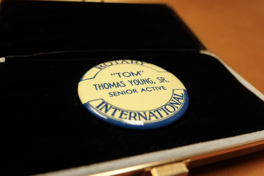 They had Thomas Young Sr’s rotary badge. Tom was born in 1895 and passed away in 1971. His son Thomas Young Jr. is a member of our club. Thomas Young Sr. had to wait 20 years to join the Rotary Club in Salt Lake after having been a member in Ogden. 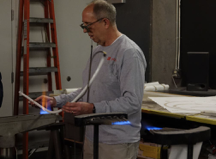 They enjoyed the tour of YESCO’s 104,000 square foot facility on 16th South and Bangerter Highway and particularly enjoyed the time in the neon shop watching Dave Corey “blow” and create a neon tube over the neon ribbon fire. 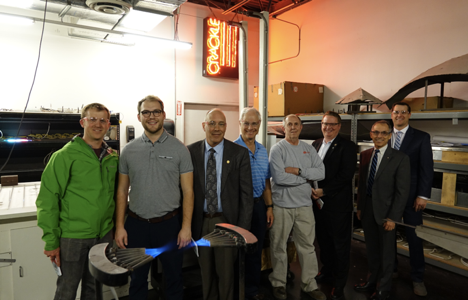 Participants in the “extended” neon shop tour (from Left to right): Fletcher Hamel (guest of Brian Berkelbach), Ryan Weakley (guest of his father Don Weakley), Scott Rosenbush, Dave Corey (neon-YESCO), Brett Sutherland, Paul Young, Brian Brown (YESCO). The purpose of Rotaract is to provide an opportunity for young men and women aged 18-30 to enhance the knowledge and skills that will assist them in personal development, to address the physical and social needs of their communities, and to promote better relations between all people worldwide through a framework of friendship and service. Rotaract clubs are sponsored by Rotary International and part of a global effort to bring peace and international understanding to the world—there are 7500 Rotaract Clubs in 156 countries across the globe! 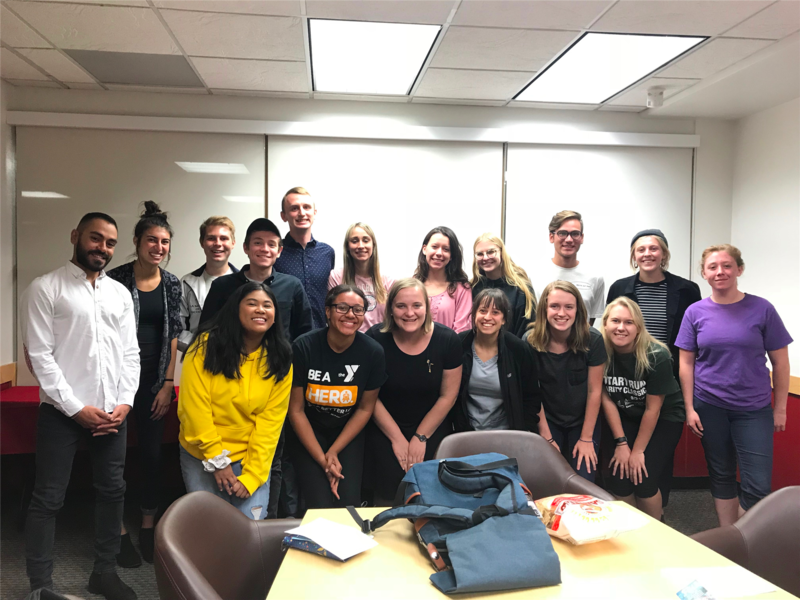 The Rotaract Club of Salt Lake is a service-focused, professional organization for people aged 18-30. We are sponsored by the Salt Lake Rotary Club, who provide us with the resources and support to thrive. We are a great club for people who are interested in having fun, meeting wonderful people, and doing service! 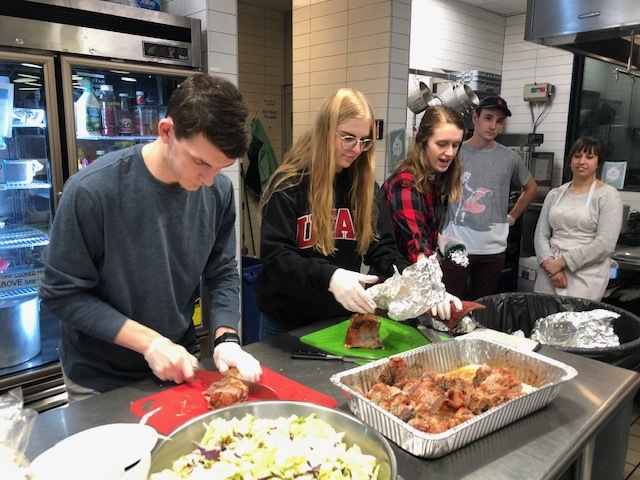 Our club holds a meeting the last Sunday of every month at 7pm and throughout the month we organize various service projects, fundraisers, and socials. We also attend leadership and professional development conferences, network with other Rotaractors and Rotarians, and participate in international humanitarian expeditions. If you are interested in hearing more about our club or joining, please contact our membership chair, Sierra Smith, at sierraasmith95@gmail.com! For other questions or information please contact our president, Natalie Goding, at natalie.goding@gmail.com. You can also find contact information for the rest of the executive board below. We look forward to meeting you! 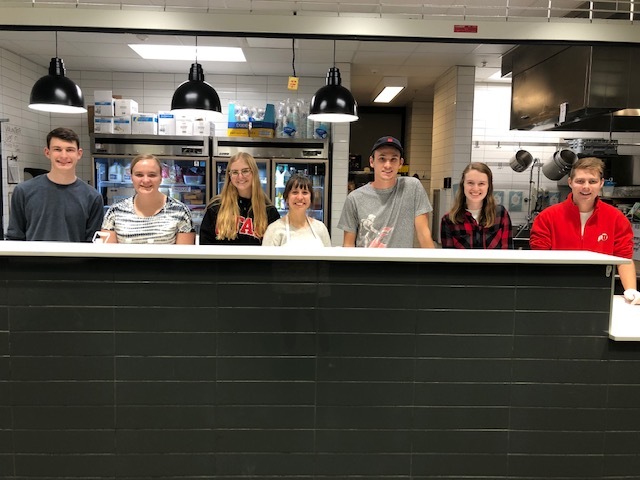 On January 9th, our Rotaract Club, with team captain Randi Jackson, served our January Meal to the Homeless Teen Center. We served approximately 60 clients. We served Pork Loin Roast, Cheesy potatoes (cooked by Randi’s Husband Tom), Vegetables, apple sauce, salad and mixed vegetables. One of the Rotaractors, Madison Putich, cooked home-made cookies for dessert. There was plenty of food and several of the kids came back for seconds. The Rotaractors all enjoyed the volunteer event and some indicated that it was the most enjoyable one they have done so far this year. 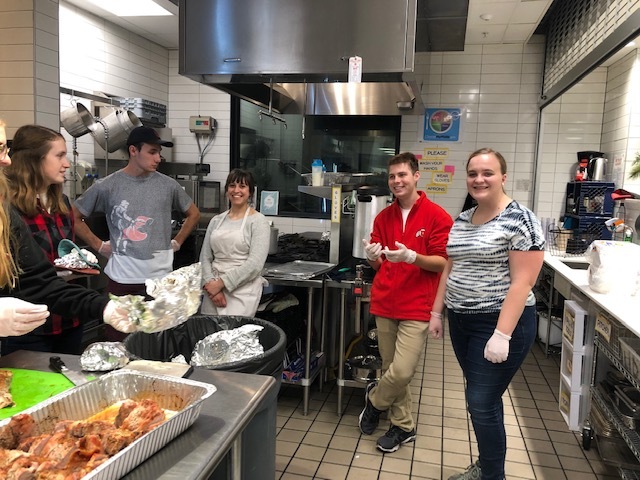 Salt Lake Rotarians Judy Fang, Amelia Larsen, Karmeen Kulkarni, Kyle Muir, Linda Kruse, Brian Berkelbach, Mark McCashland, and Teri Jensen had a great time serving dinner for the Lied Boys and Girls Club Holiday dinner. This is our 4th year serving the holiday meal. Teri's friends Corrine and Tony joined the group. Mark's wife Trudy came too. Thanks to Trudy's culinary skills, we served a fabulous gravy with turkey and mashed potatoes. Amelia also brought her friend Brandon Mendoza. When you volunteer for Rotary service projects it is nice to include friends. It gives others the opportunity to serve, and it helps spread the word about the work our club does. This dinner is always chaotic, and it is always fun. A few of us joined in with the dancing game. You might know it, when the music stops, FREEZE. Check out Kyle's dance moves. He was the last Rotarian standing. The Boys and Girls Club presented a brand new pair of shoes to all of the children. It was fun to watch the kids receive this special holiday gift. Amelia, Karmeen, and Kyle presented a check to SL Boys and Girls Club for $1000 on behalf of SL Rotary. Amelia took a few minutes to tell the Rotary story. The kids know this money goes directly back into their club and they responded with enthusiastic applause. Remember, SL Rotarians staff the Kids' Café on the third Wednesday of every month. We like to have three or four volunteers attend each dinner service. We have open slots for February and March. Please contact Teri Jensen at tjensen@upbslc.com if you'd like to sign up. A few Rotarians have asked about bringing kids to the volunteer events. This monthly dinner service is kid friendly.